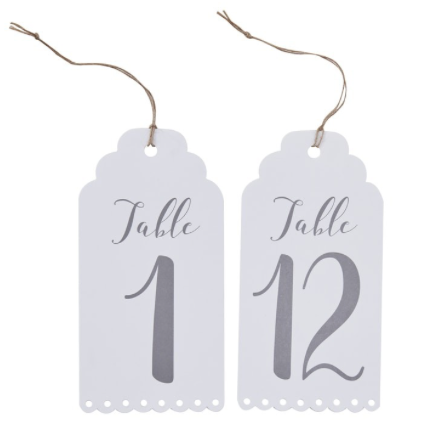 Use these stunning Table Numbers are your wedding reception to create the perfect table set-up on your big day! Each number is printed in a gorgeous font onto a luggage tag which comes complete with twine! 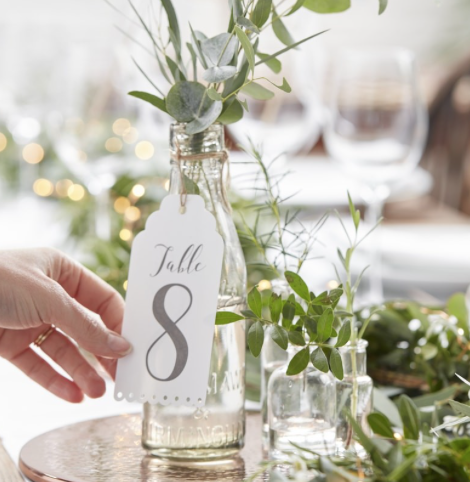 Ensure your guests can find their seats easily by hanging these gorgeous table numbers onto bottles and jars and place on your tables! The simple yet stunning design is perfect for all wedding themes and sure to be loved by all! Each pack contains numbers 1-12 measuring: 7cm (W) x 13cm (H).